California has lead the nation on many environmental fronts and going green as a conscious choice can help you attract and keep the best tenants. People now prefer to live in areas which are environment friendly and play their part in improving the environment. 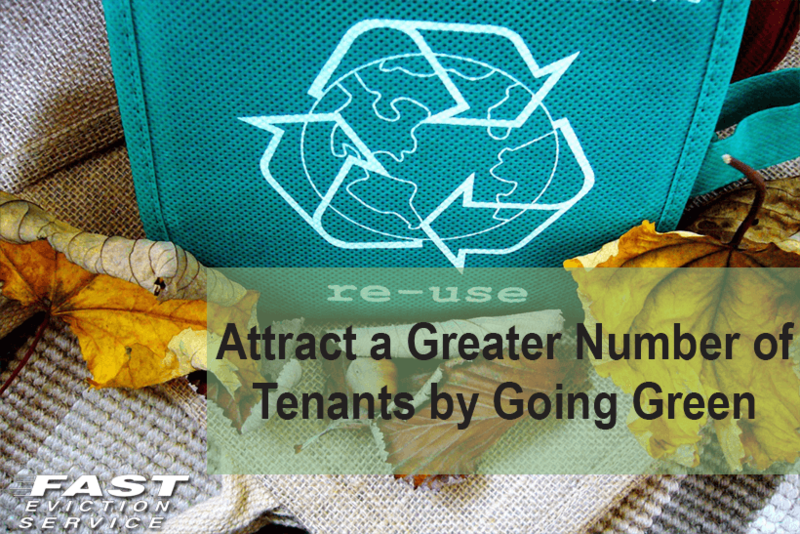 If you would follow the ‘go green’ trend and turn your property green, you will be able to attract a far greater number of good tenants. Here are a few tips that can help you make your property environment friendly without making you spend too much from your pocket. You should first start with small changes especially if you want to make your property environment friendly while a tenant is residing in it. So, always look at green replacements for small problems. For instance, if the bulb needs to be changed or the shower head needs replacing, look to invest in greener replacements which are designed to contribute positively towards the environment. If there are no tenants in your property at the moment, then you can always look at making more changes that would help the house become environment friendly. From using environment friendly carpets, paint and window covers to buying dishwashers, air conditioners and washing machines of a high Energy Star rating, these are all steps that will definitely make the property environment friendly and thus, attract tenants who care about the environment. Solar Energy won’t only prove effective for the environment but would also lower the electricity bills. The fact that the government supports homes that are looking to utilize solar energy is an added benefit since solar energy devices are heavily subsidized in California right now. There is no need to use solar energy to completely power the house as it would take a great investment from you. A better way would be to buy solar heat pumps which would ensure that not a lot of power is utilized to at least heat the water. It’s an extremely effective way of saving energy as it would trap the hot air during the winters and would trap the cold air during the summers. This would lead to lesser use of air conditioners and heaters. So, it’s not just going to help your house become environment friendly but would also bring down the electricity bills. All in all, by going green, you can make your house look very attractive to perspective tenants in California two ways. Firstly, by going green, you would make your house a smart option for people who want to live in environment friendly conditions. Secondly, you would reduce power usage and thus, ensure smaller electricity bills.